We always have a question in mind Why Thane? when we are about to select the property in Thane. We help you to decide your best. We always have a question in mind Why Thane? when we are about to select the property in Thane. Thane is a city just outside Mumbai, in the western Indian state of Maharashtra. It’s known as the ‘City of Lakes’, and its more than 30 lakes include tree-lined Upvan Lake, a popular recreational spot. Beside Talao Pali Lake, Kopineshwar Mandir is an old, domed Hindu temple dedicated to Lord Shiva. To the west, leopards, monkeys, and parakeets inhabit the teak forest and bamboo groves of Sanjay Gandhi National Park. But the above information is just general information which is found on Google or Wikipedia. But to find exactly Why Thane? you need to find the correct answer from us. 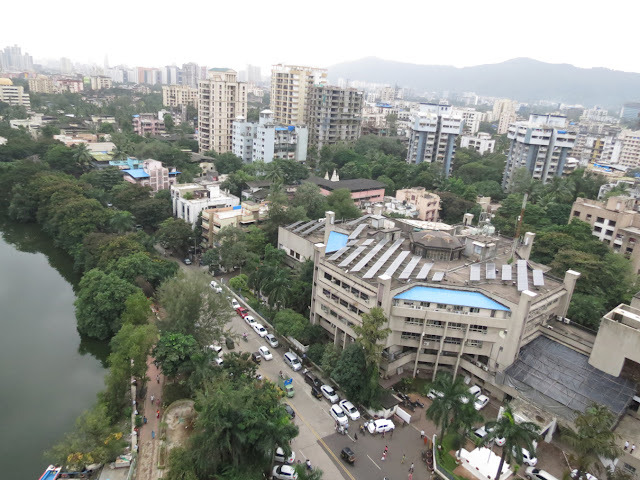 We have seen the Thane city since it started growing from its childhood. Shops, malls, hotels of very good to good quality have converted this Thana village of ten years back into a bustling township of tomorrow. When we start selecting a residential property in Thane, we always find and search VALUE FOR MONEY we invest in. Initially, Thane was a residential suburb of Mumbai which has later developed into a booming industrial town with growth in trade, transport and construction activities. The city has numerous historical buildings, including a fort and several churches. Thane has an abundance of greenery and clean air. It also shares a deep-rooted connect with various art festivals. With 33 lakes, 9 malls, 5 hospitals and , ore than 50 gardens, the place has been attracting buyers who seek an enriching lifestyle. Statistical data proves that certain areas in Thane have recorded more than 400% hike in the last eight years. Thane is an integral part of MMR - Mumbai Metropolitan Region, and Maharashtra Government's blueprint for further developing the MMR includes a slew of major infrastructure development plans. To that end, few projects have already been approved by the Mumbai Metropolitan Region Development Authority (MMRDA). As Thane enjoys a central location, experts predict that it is all set to experience exponential growth. Besides, Thane has evolved over the years with amazing social and cultural infrastructure. With an increased number of retail and commercial spaces, Thane is steadily moving towards a self-sufficiency model. The city is also called "City of Lakes" as the city is surrounded by 35 lakes. Thane Municipal Corporation has made laudable efforts to restore and preserve its glory by many cleaning drives and other social activities. The city is distinctly divided by the old areas like Naupada, Vishnunagar, Chandan wadi, Charai, B-Cabin, Kopri, Kharkar Aali and the Panchpakhadi; and the New areas like Vartak Nagar, Shivai Nagar, Raunak Park, Vasant Vihar, Ghodbunder Road, Majiwada and the others. Real Estate Value Thane: Why Thane?